It seems like road trips are a part of little T’s destiny. Its a challenge to keep a toddler strapped into a seat for five minutes, let alone five hours. 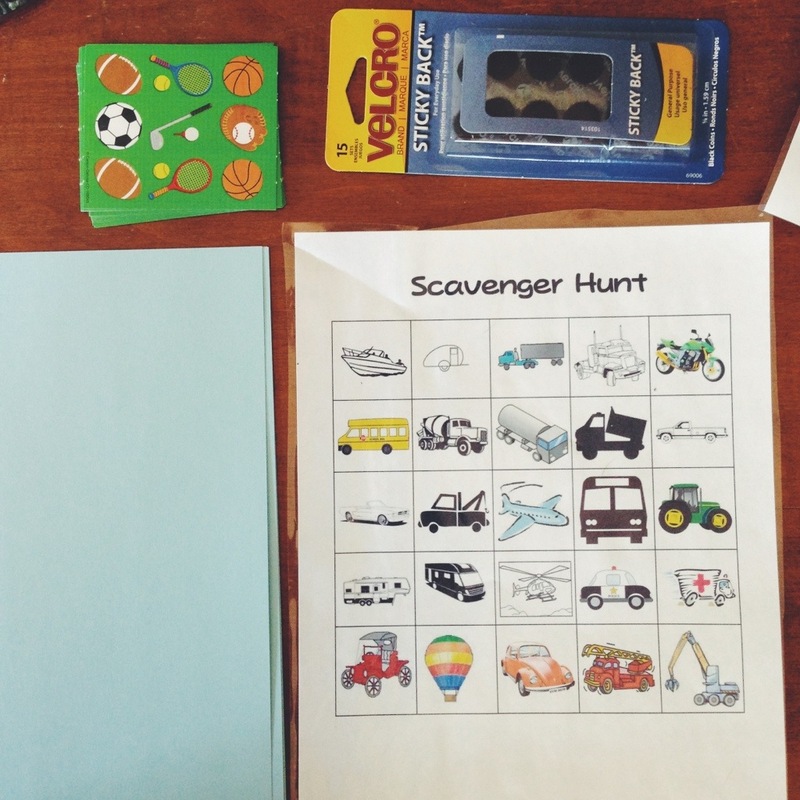 We’ve had to come up with games and activities that will keep his busy toddler mind occupied. Here’s a tutorial for one of our favorites. 1 bingo card with different colored cars. There are lots online for free, but I purchased mine from Etsy for two dollars here. I also laminated it at Lakeshore Learning for extra protection, but you can also just print out a bunch of sheets and cross the cards off as you go. 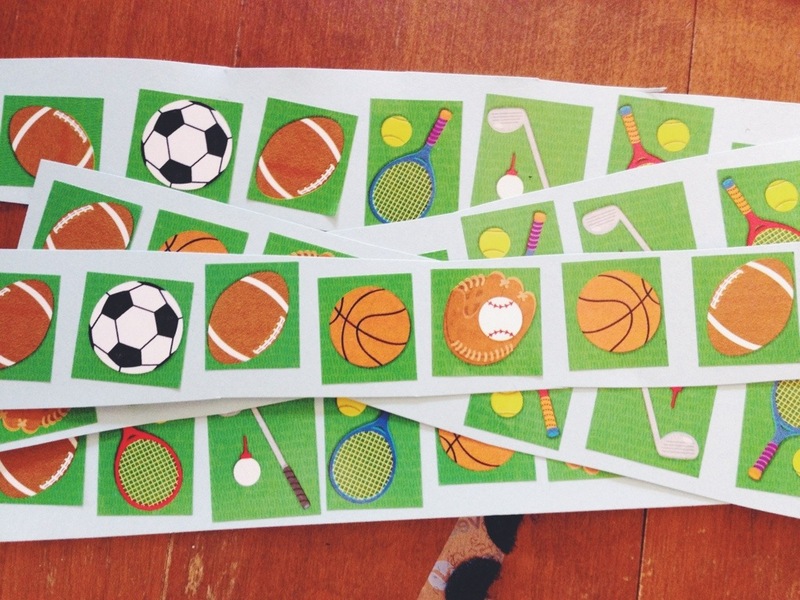 First, cut the Velcro to the correct size, and then attach one side to the bingo cards. 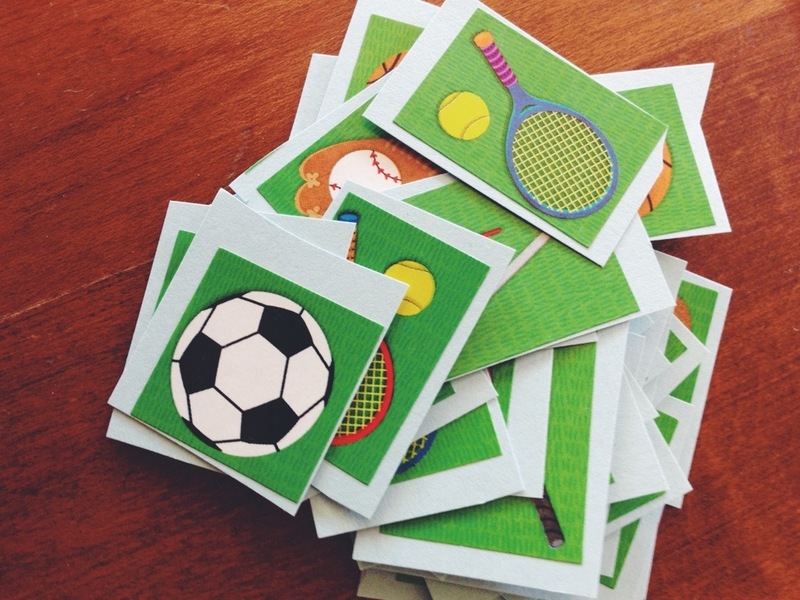 Next, put the stickers on the card stock, then cut them into little squares. Put the other half of the Velcro onto the backs of the stickers/card stock. Find a cute little envelope to put the stickers in, and voila! Road Trip Bingo! 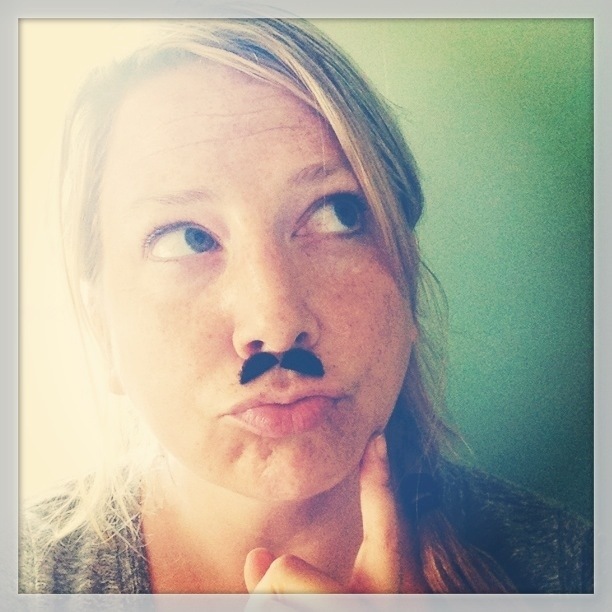 With the extra Velcro, you can make yourself a mustache. 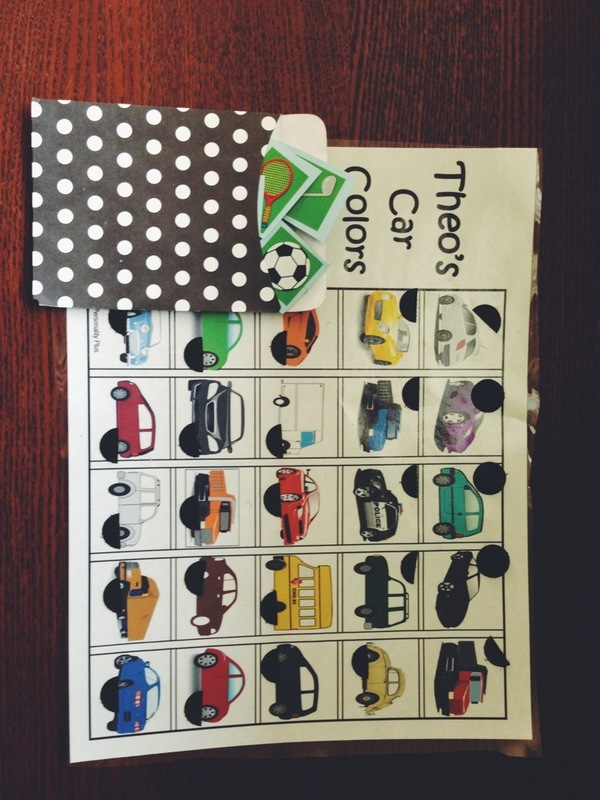 To play, give your toddler the card while they are sitting in the car. Ask him/her to find all of the cars that match. We keep it simple and just have him find a red car, blur car, green car, etc. When they find the car, give them a round of applause and hand them their favorite velcro’d sticker to attach to the bingo sheet. Happy driving for all!